We have all been hit my computer viruses at one or another in our lifetimes. They always seem to come at the most inopportune times. We have term papers due, portfolios due, and deadline to meet and out of nowhere, he comes a stupid virus. It now takes us an hour to start our computers, and if we are even able to connect to the internet, we got bombarded by pop ups. The solution to the problem is usually fairly simple. Install anti-virus programs such as McAfee, Norton, or AVG and run consistent scans on the computers. This will certainly help to prevent virus and malware infections. In addition, most of the suites of the aforementioned anti-virus programs allow the user to not only prevent, but also remove viruses. 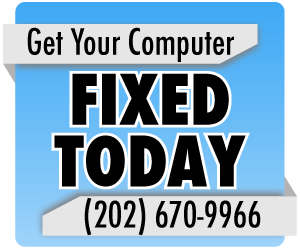 However, there are certainly instances in which a flat out recovery of the system needs to be performed by a computer repair technician. While this may be a costly alternative, it is vital is completely eliminating viruses. Because the vast majority of malware and virus infections are contracted though Internet browsers, a few extra steps in tightening the security while we surf the web can really pay off in keeping those nasty viruses off our computers. 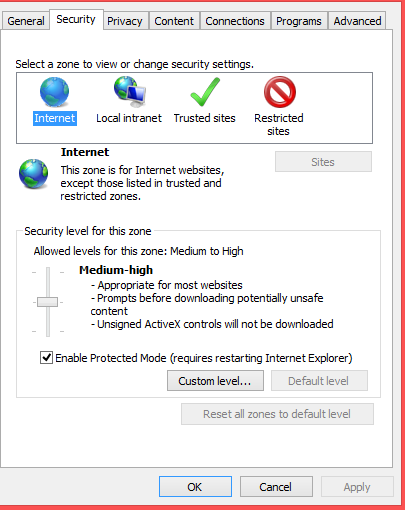 -Form this screen, you will see the four selectable areas in which you can improve security in your browser. 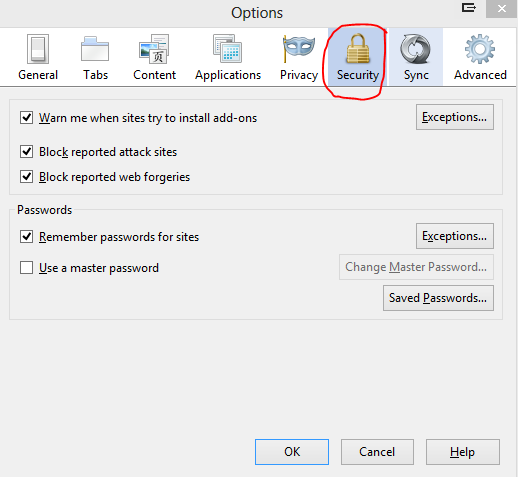 Each of these menus has a series of options that you can tweak in order to improve browser security such as pop up blockers, security levels and cookie settings. 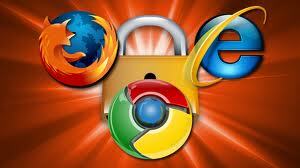 -In addition, you will able to indicate whether or not specific sites are Trusted or Restricted. This will greatly reduce your chances of accidentally getting a virus infection. Firefox continues to be an up and coming internet browser. People seem to be highly impressed with its bookmarking options, handing of third party extensions, customization, and overall performance. However, like Internet Explorer, it can be prone to deadly pop ups than can harm your computers. -	Clicking on the Firebox Button and navigating to Firefox options screen will allow you to select Security tab. -	Here you can check security features such as remember passwords, blocking reported attack sites, blocking web forgeries, and create exceptions for install-add ons. While these tips may not save your computer from a virus infection like the FBI virus, they can still add a further layer of protections to ensure us a clean browsing experience and keep safe the things that matter the most to us!